The Redwall series has been one of my favourites for about twenty years. I can't recall exactly how I first learned about the books, but I do remember clearly my mother getting me out of school one day so she could take me to meet Brian Jacques when he came to the area to do a book signing. That was a truly delightful treat. Despite my love for the series, it had been years since I last read Redwall, and the last time I tried I discovered I wasn't in the mood for that particular book, so I set it aside. Since it had been years, however, I decided to give it another try. I borrowed the audiobook from my local library to listen to during my commute. The full cast audio is delightful, and I really enjoyed listening to this story. 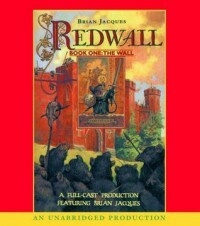 Thing is...I realise now that Redwall is probably my least favourite entry in the series, and in listening to it I've been able to pinpoint a few of the reasons why this is. Redwall is the first book in the series, and on the world-building front it just doesn't mesh cleanly with the later books. 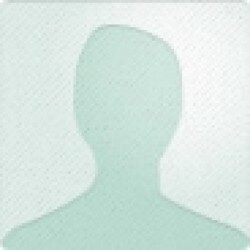 The various groups and tribes of creatures are still largely undeveloped. There are mentions of large animals like horses, pigs, and stags, all of which are completely absent in later books. In Redwall there seems to be some implication that the Abbey mice and various woodland creatures are living alongside humans (see the aforementioned farm animals, plus mentions of towns), even though humans are never actually mentioned in the story. Reading Redwall after reading other books in the series winds up being jarring for me, simply because it's a literary step backward. I still like the book, and I'm sure I'll read (or listen to) it again. Knowing why it isn't my favourite helps me appreciate it for what it is: the foundation and starting point for an amazing series of books that I absolutely love.